Hank the Cowdog is about to go on the ride of his life! When Slim’s pickup truck breaks down, the ranch ends up with a brand-new model on loan while the old one gets fixed. 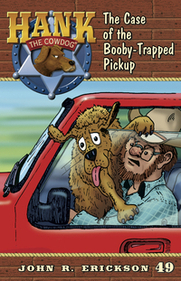 But a ranchdog like Hank isn’t used to power windows and door locks, and he gets into a heap of trouble with the push of a button. Will Hank be able to find a way out of this latest mess?